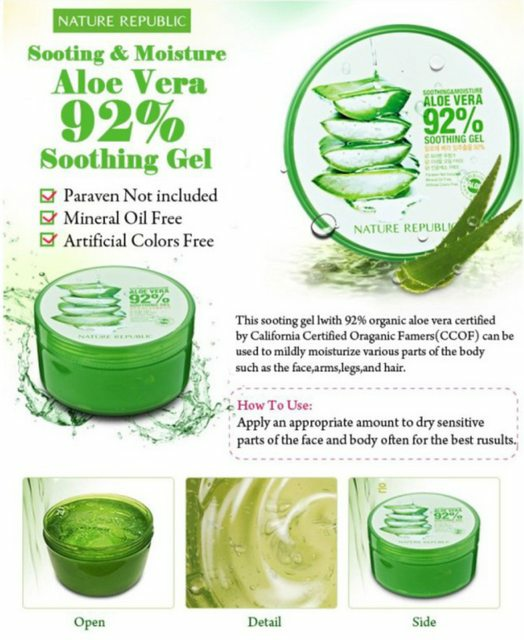 - Cool and soothe the skin after prolonged sun exposure. 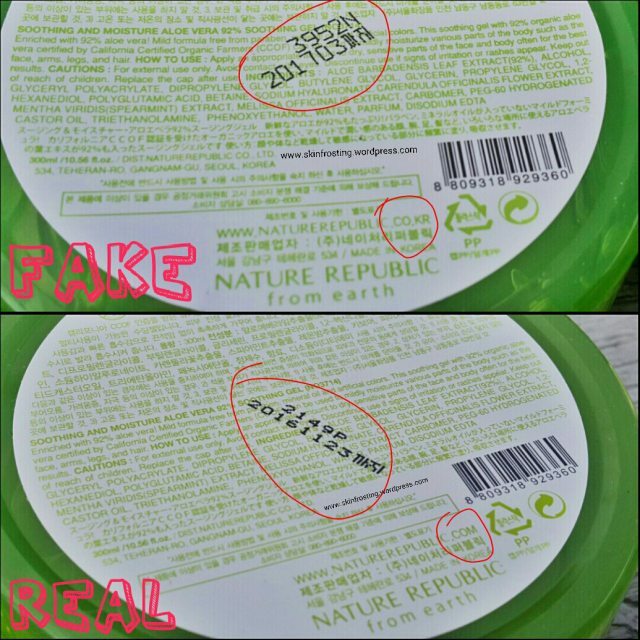 As you can find the products in Cambodia, please be careful not to buy the fake ones, since the counterfeit Nature Republic Aloe Vera gel will irritated your skin, and cause flare up in your eczema. 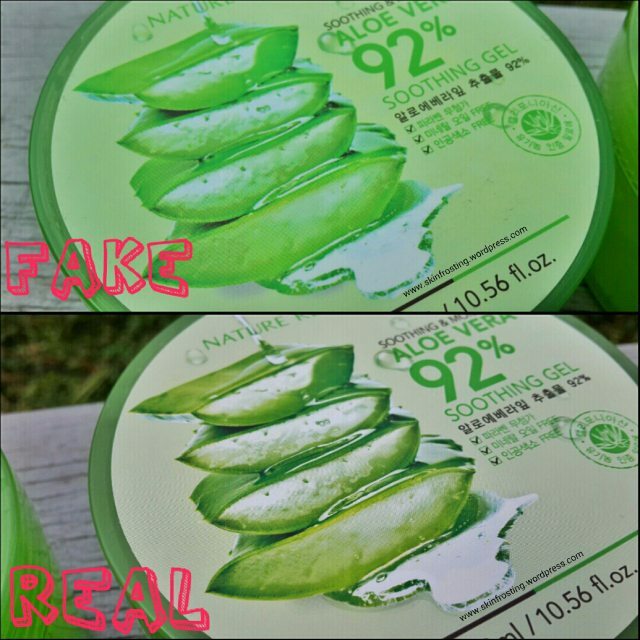 Below are comparison of the Real and counterfeit Nature Republic Aloe Vera Soothing Gel, you can find some more information about how to differentiate the fake products on the internet, I am showing only some pictures here. The colors are totally different. 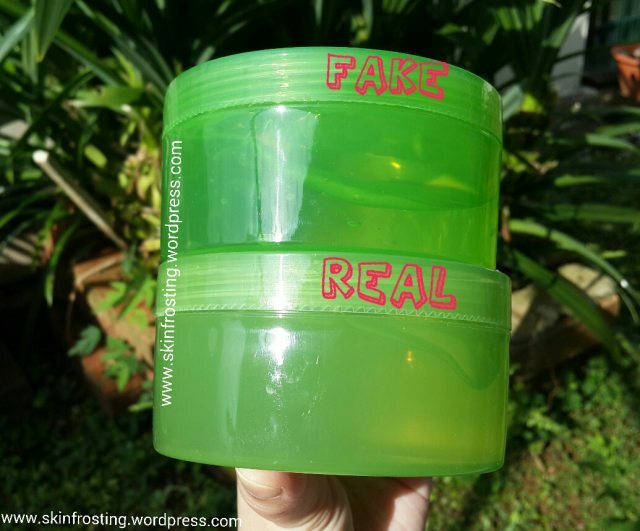 The fake one has lighter shade, the real one is much darker green. 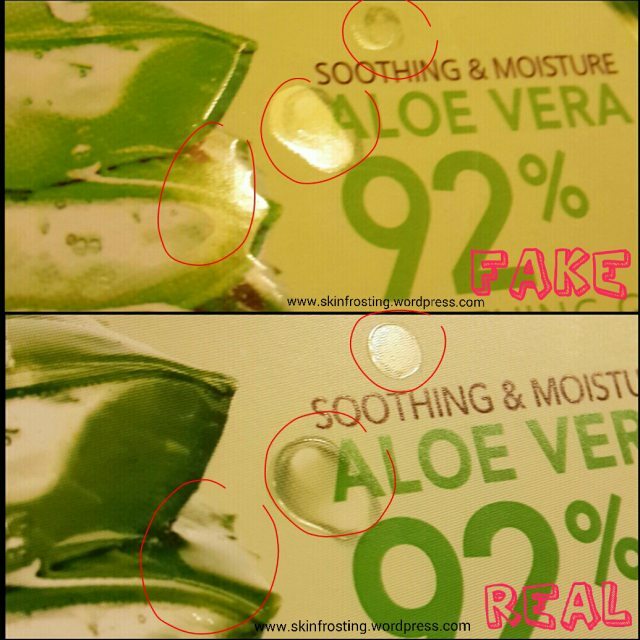 The fake one has a visible sheen that is out of alignment. On the real one, this sheen is nicely aligned with the graphic (picture below). The fake one can see through while the real one is much opaque. 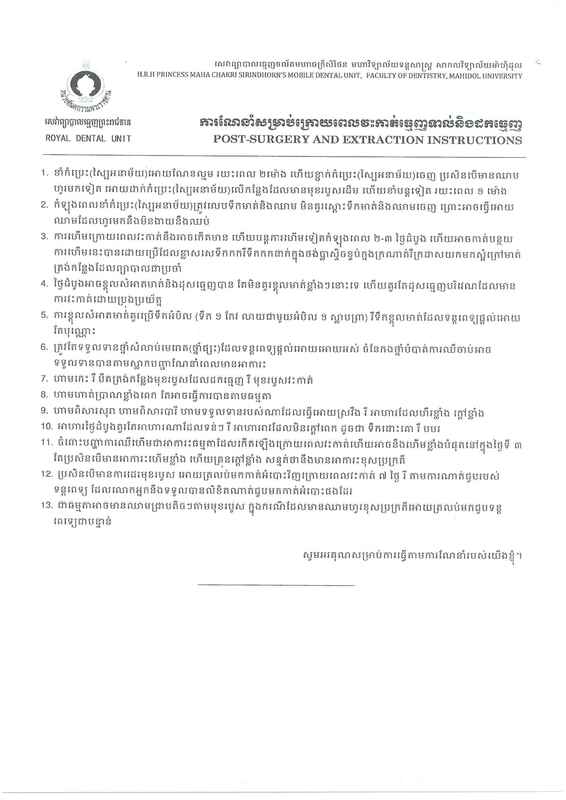 Hope the above information can help you.